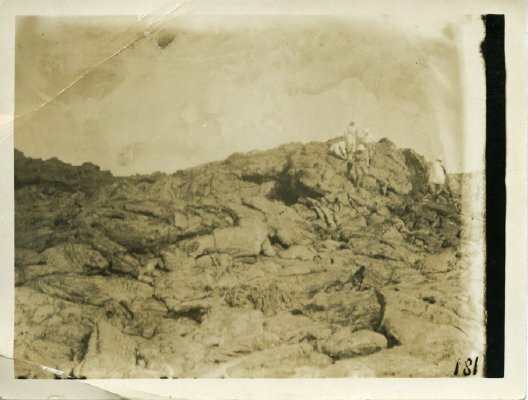 Description Walking tour 1924, On the Lava. Inscribed on back: "On the lava. I am near the top - white helmet, white shirt, khaki pants, arm bare to the elbow"